If you’re looking for a dependable and skilled plastic surgeon in South Salt Lake City, then Dr. Kirk Moore is the man for the job. Since 2001, he has been offering advanced breast augmentation techniques to patients, delivering quick, beautiful results. His unique “Practically Pain-Free Breast Augmentation” technique employs sharp dissection, cauterization methods and immediate physical therapy following surgery, all of which aid in minimizing pain, scarring and recovery time. It’s no wonder that Dr. Moore is in such high demand in the West Jordan area. Dr. Moore’s complimentary consultations are pleasant and helpful for patients who are considering breast augmentation. Meetings take place in a private suite with refreshments. Patients will undergo a physical exam, discuss their aesthetic goals personally with the doctor, view before and after photos, try on sample breast implants and receive financial information. To schedule a consultation, please contact us today. 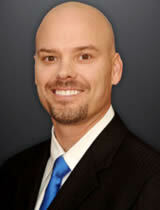 Contact us to arrange a private consultation with Dr. Kirk Moore today.